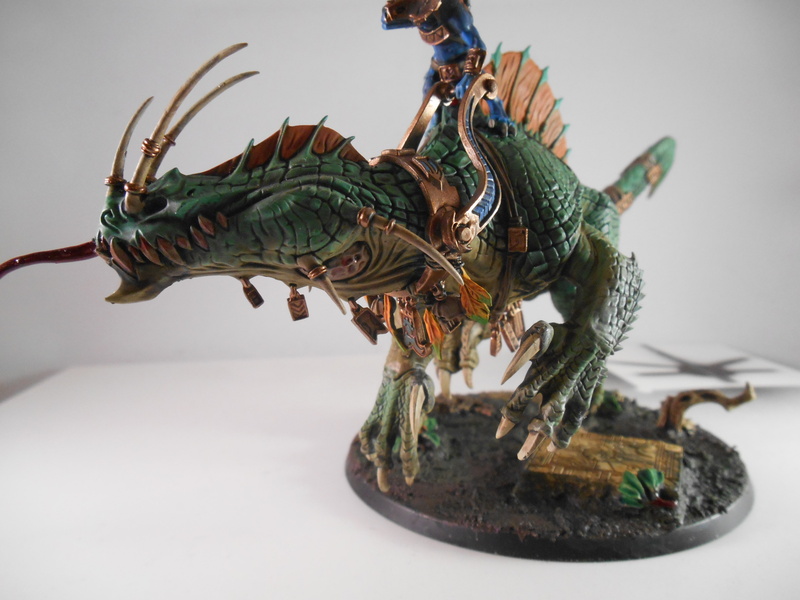 I’m slowly but surely building a new Age of Sigmar Seraphon (lizardmen) army. 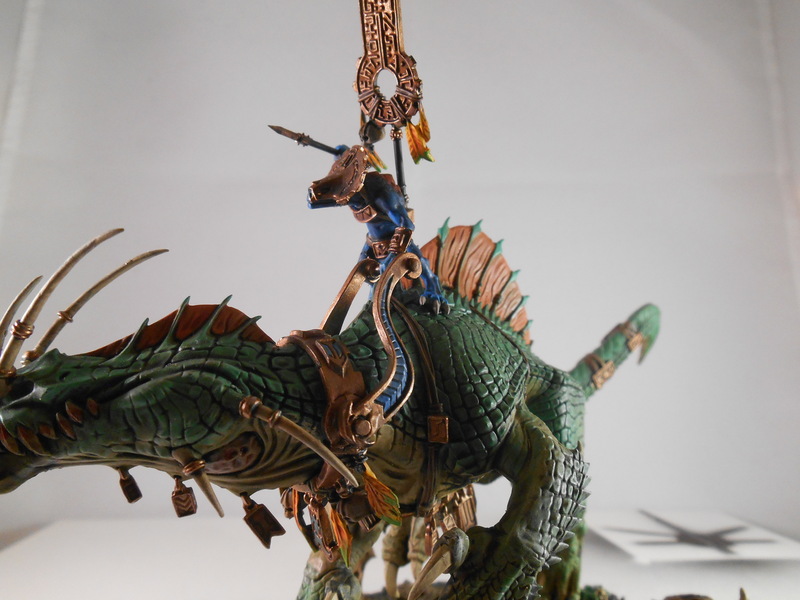 This entry was posted in Age of Sigmar, Fantasy, Lizardmen, Warhammer and tagged AoS, Dinosaurs, Fantasy, Lizardmen, Order, Seraphon, Troglodon, Warhammer on September 25, 2015 by ruadhan2300. 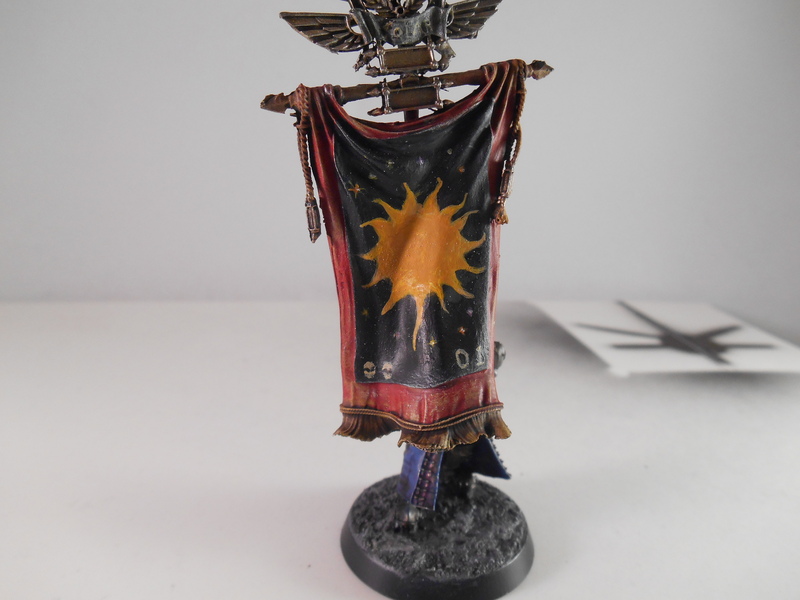 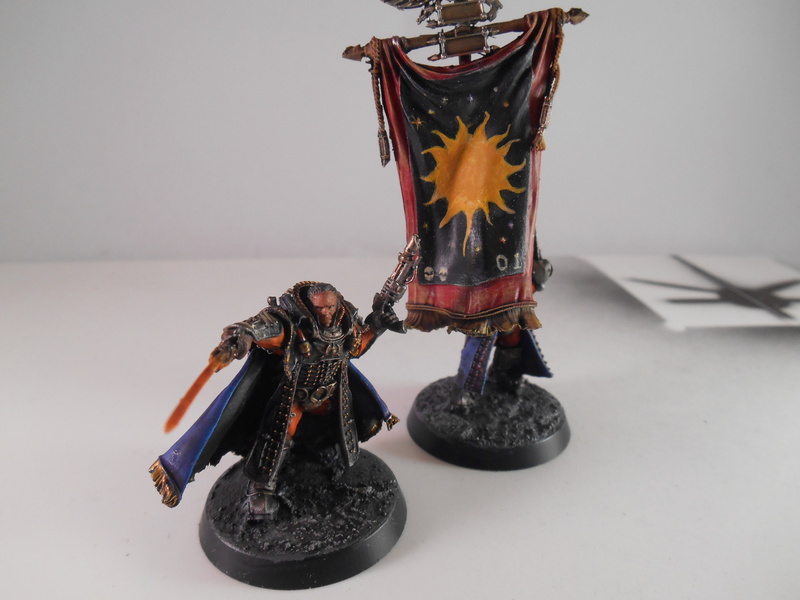 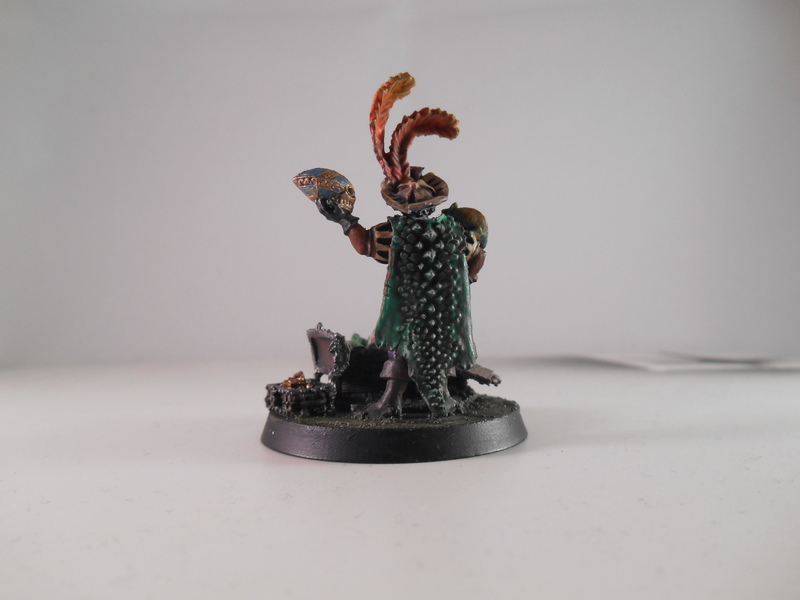 Like many, when Age of Sigmar came I had a lot of misgivings about what I was seeing. 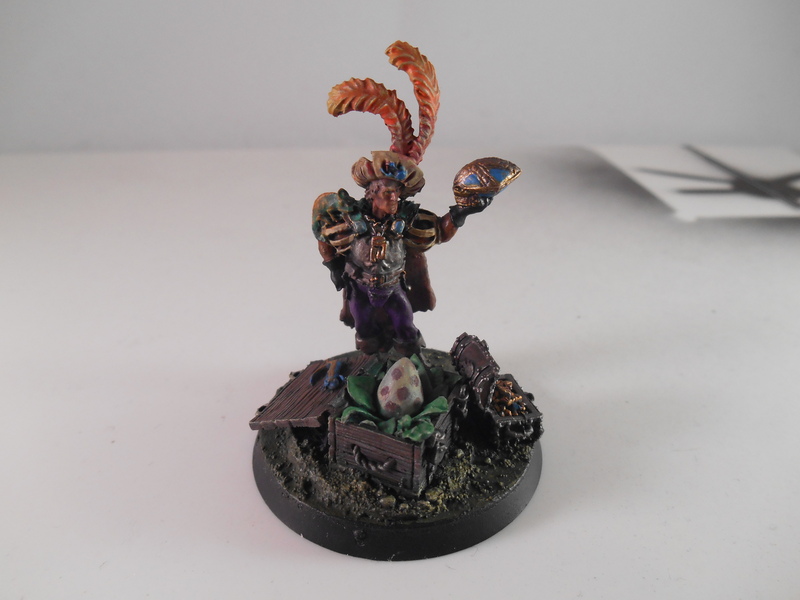 Not being a fantasy player, I didn’t really feel in the position to complain or critique, but I had the misgivings anyway. 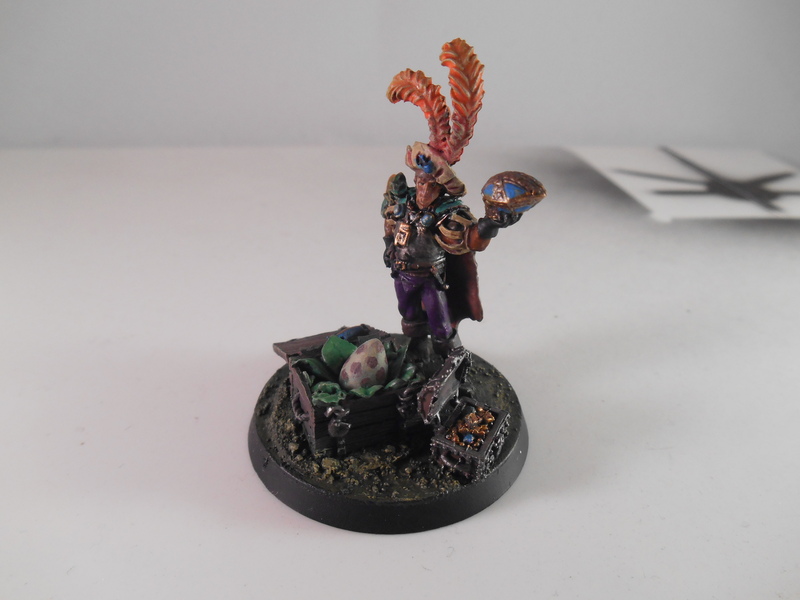 After a lengthy and well reasoned conversation with my local store manager about it, I feel a bit more settled and comfortable with the direction the game has taken. 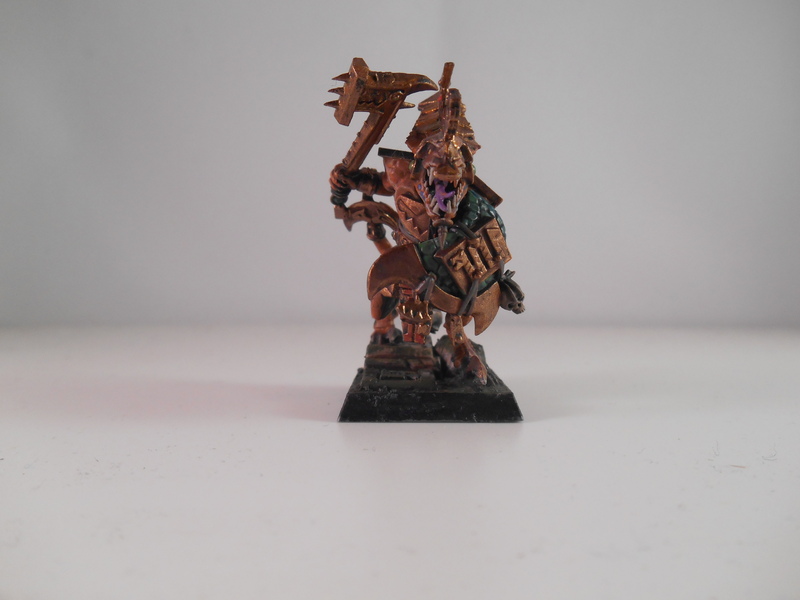 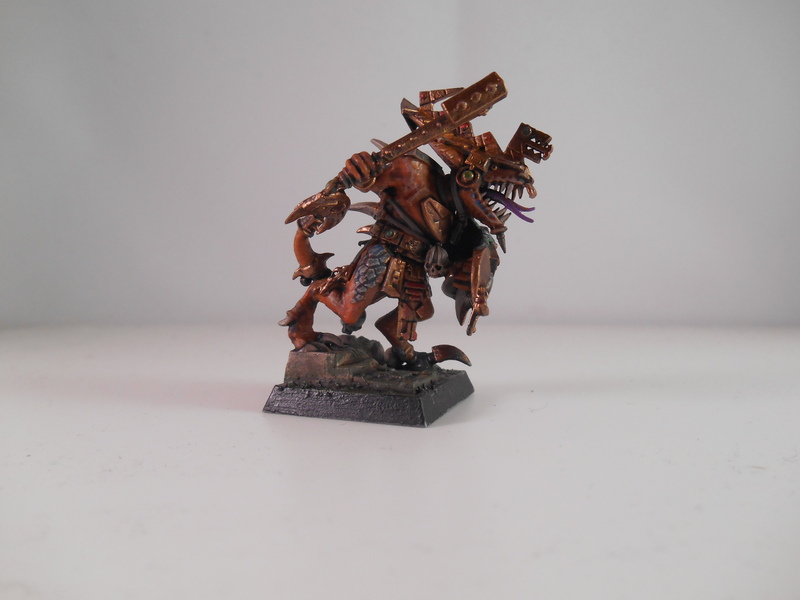 To follow on from that conversation, I’ve decided to start a small Lizardmen (Seraphon?) 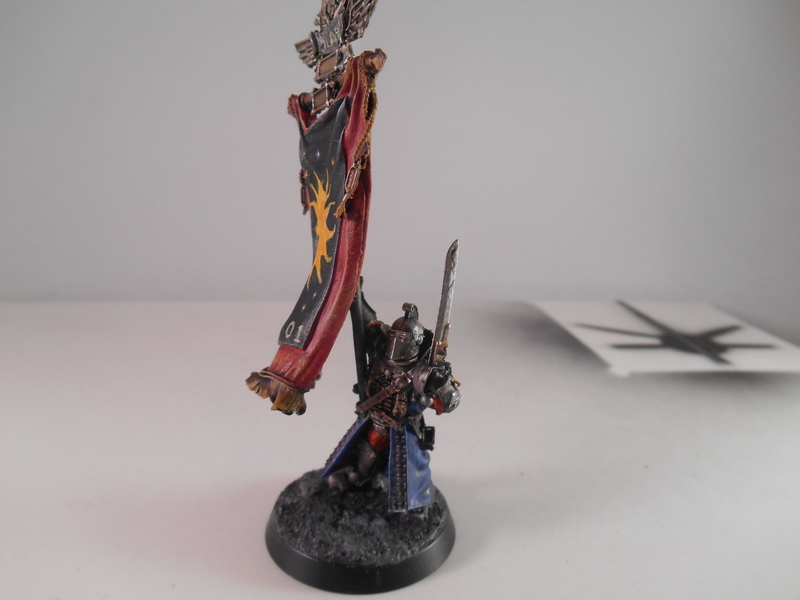 force and give Age of Sigmar a try! 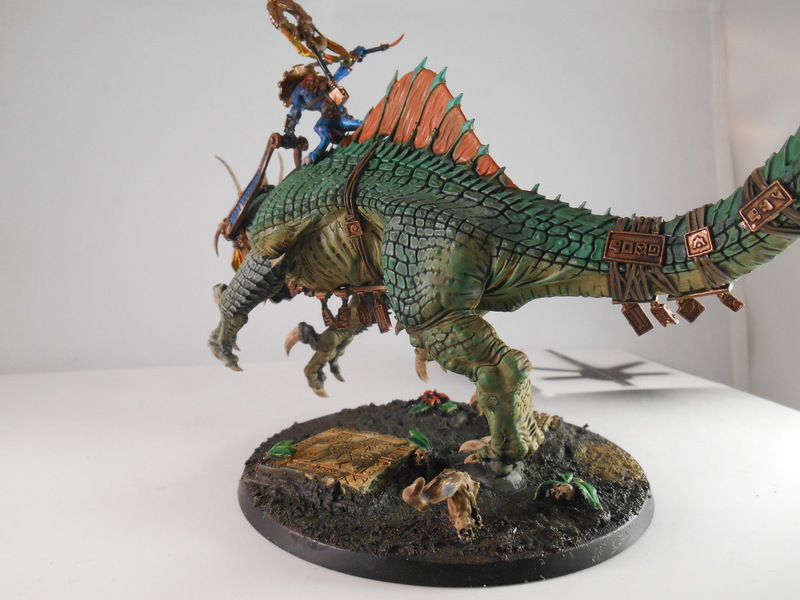 To start things off, I picked up a Saurus Oldblood. 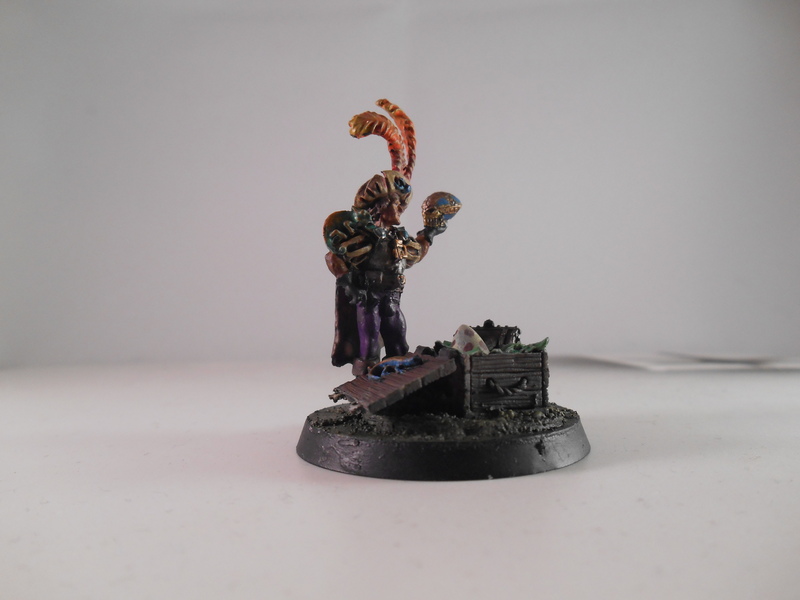 I figured it’d be good to start with a single model rather than a box of a dozen! 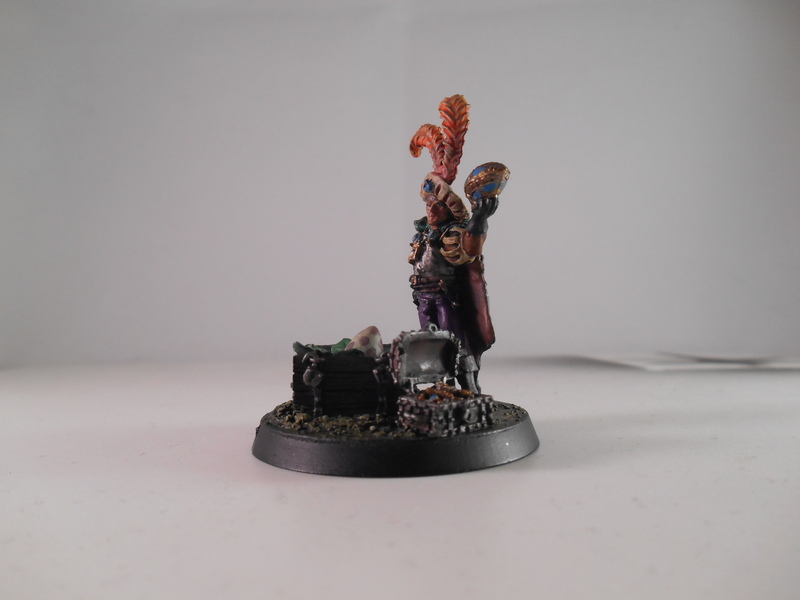 All in all, I had fun, assembled and fully painted in a space of two hours. 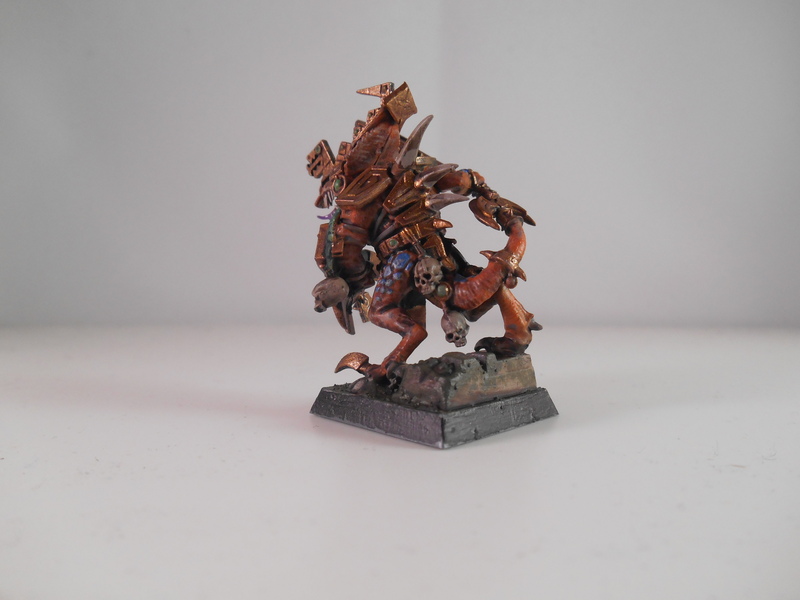 I’m thinking my choice of Orange skin clashes a bit with the gold armour, I might tweak and change that for further models.. 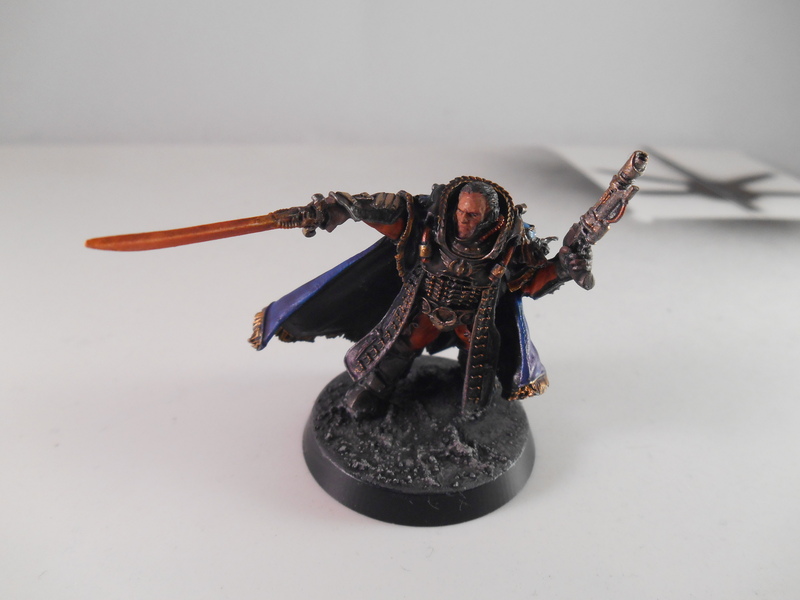 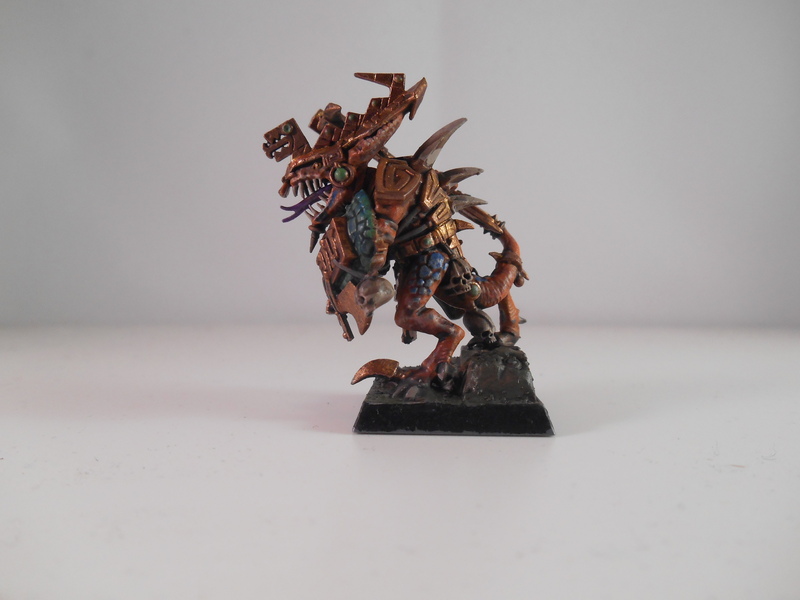 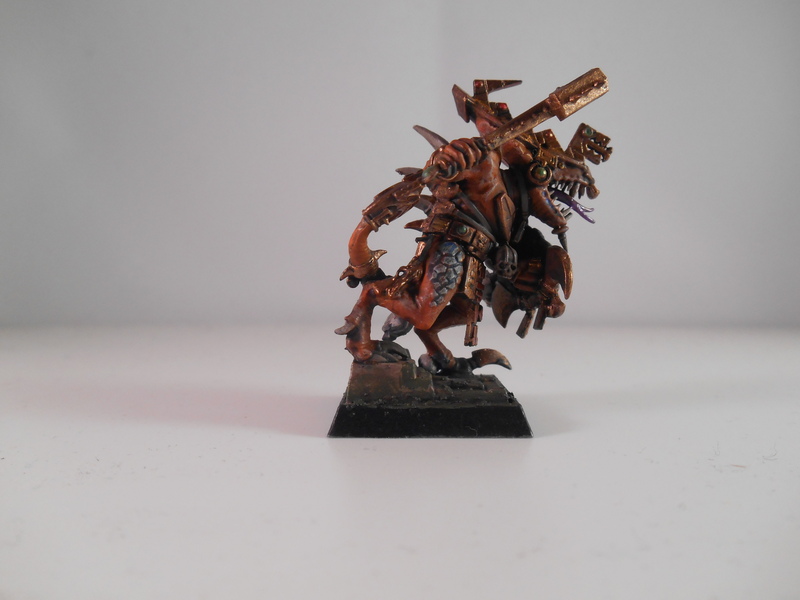 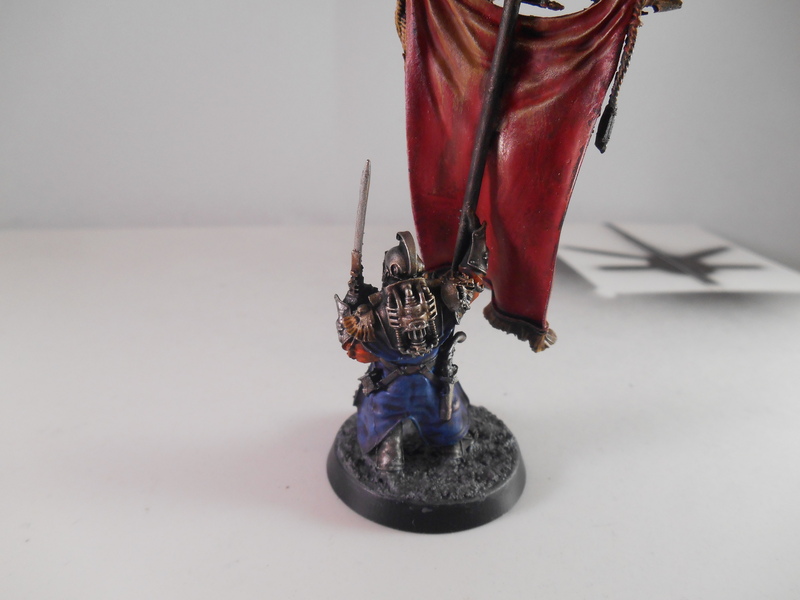 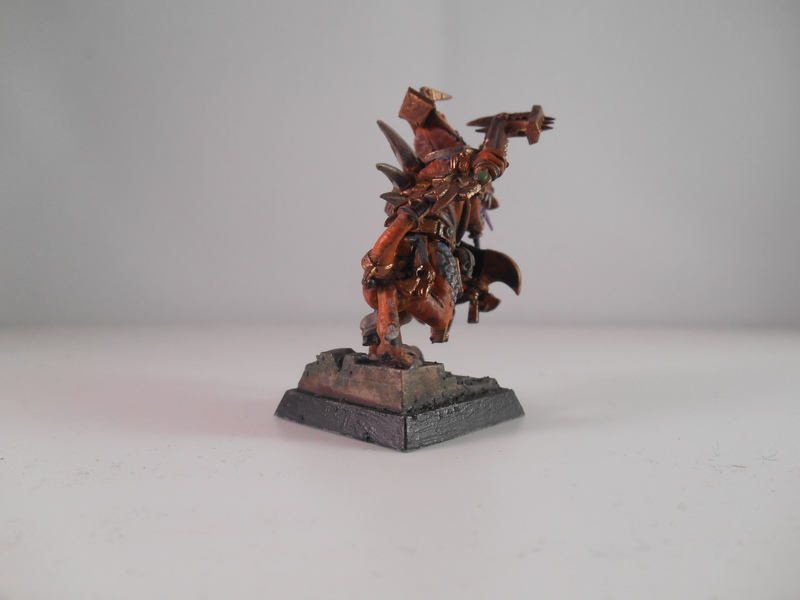 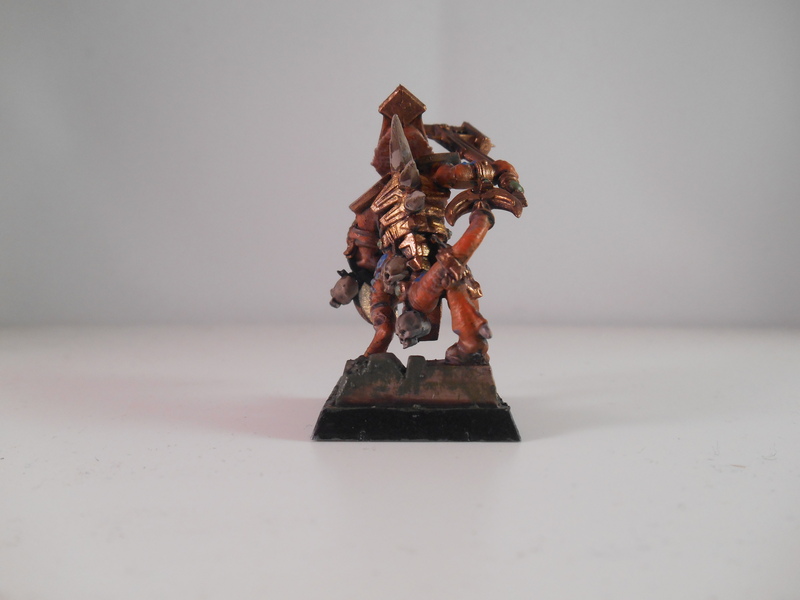 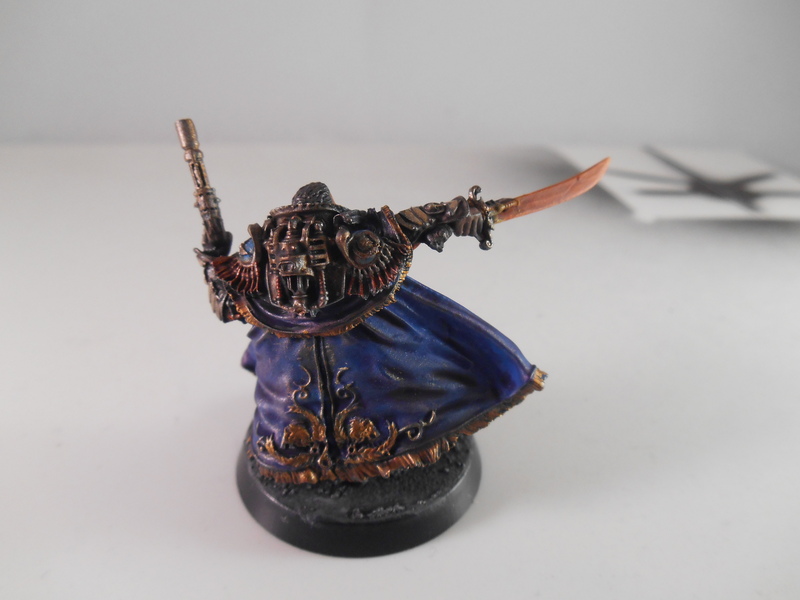 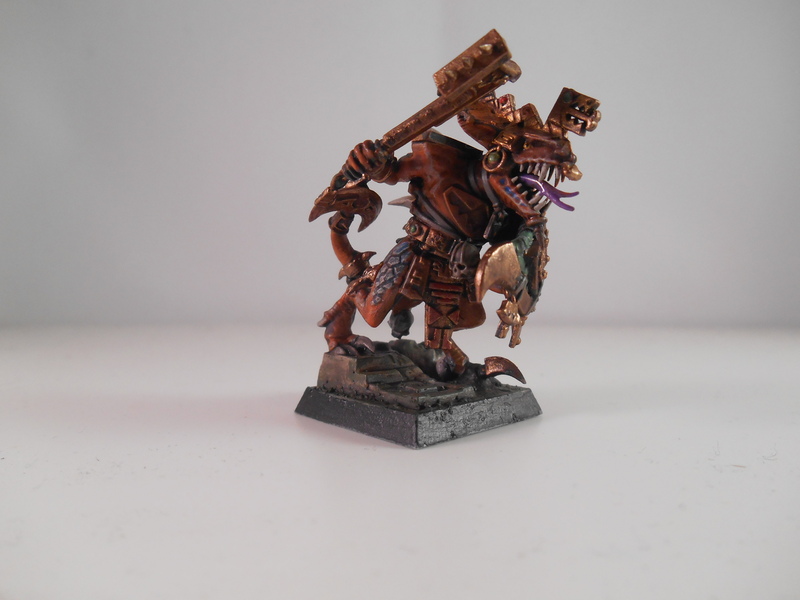 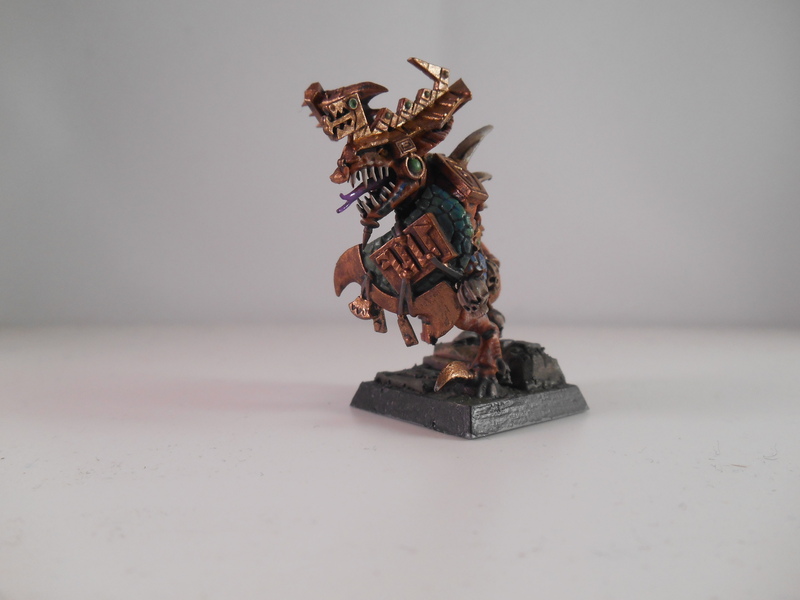 This entry was posted in Age of Sigmar, Fantasy, Warhammer and tagged Age, AoS, Fantasy, Lizardmen, Oldblood, Saurus, Sigmar, Warhammer on July 26, 2015 by ruadhan2300.